This little book swept maple sugarin’ buffs off their feet when it first appeared and is still the top-selling guide to the craft after over 40 years in print. 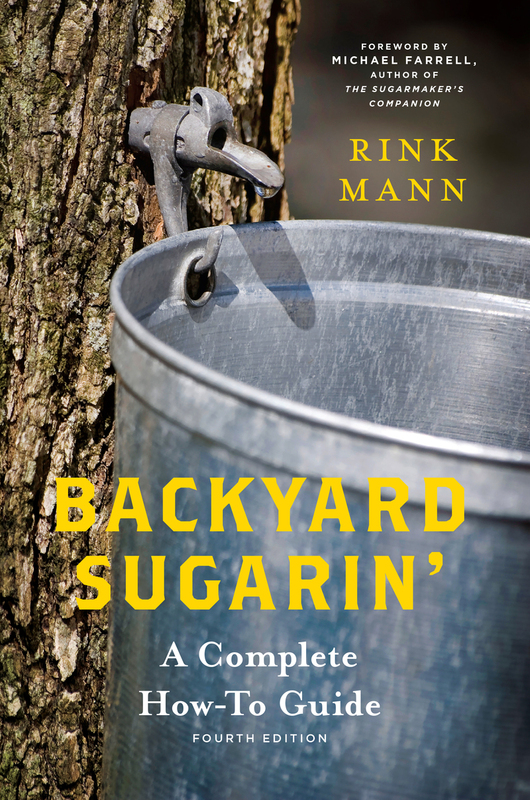 Backyard Sugarin’ tells you how you can make maple syrup right in your own backyard without having to build a sap house or buy buckets, holding tanks, evaporators, and other expensive paraphernalia. This new edition also features a foreword by maple expert Michael Farrell, author of The Sugarmaker’s Companion , who provides a contemporary look back at the old-school techniques presented in this book. With detailed “how-to” information and tips from sugarers across the country, this is the only maple sugaring guide you’ll ever need. Rink Mann lived in New Hampshire and made his own maple syrup for many years. He died in 2003. Michael Farrell serves as the director of Cornell University’s Uihlein Forest, a maple syrup research and extension field station in Lake Placid, NY. He is the author of The Sugarmaker's Companion.